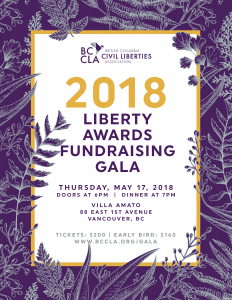 The BCCLA Liberty Awards are given to individuals and/or entities who have made exceptional contributions to human rights and civil liberties in Canada. 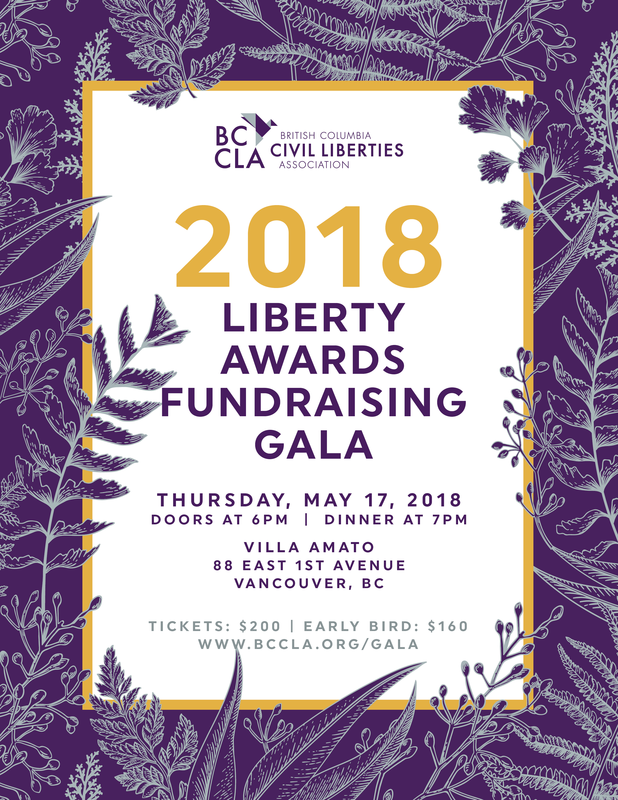 The Liberty Award recipients are devoted in their own ways to the cause of protecting and expanding hard-won democratic rights and freedoms; their collective contributions are invaluable – and essential – to the work of the BC Civil Liberties Association. Without their principled, creative and often courageous efforts to do right and seek justice, we would have a less free society. Nominations are welcome from all BCCLA members and supporters. They will be voted on by the BCCLA Board of Directors. Nominations shall be submitted by completing the form below. Send any questions you might have to [email protected]! Nominations for the 2018 Liberty Awards close on February 15, 2018. Is the nominee aware that you are submitting this nomination? If selected, do you think the nominee would be willing and able to attend the 2018 Liberty Awards Gala happening on May 17, 2018 at the Villa Amato in Vancouver?